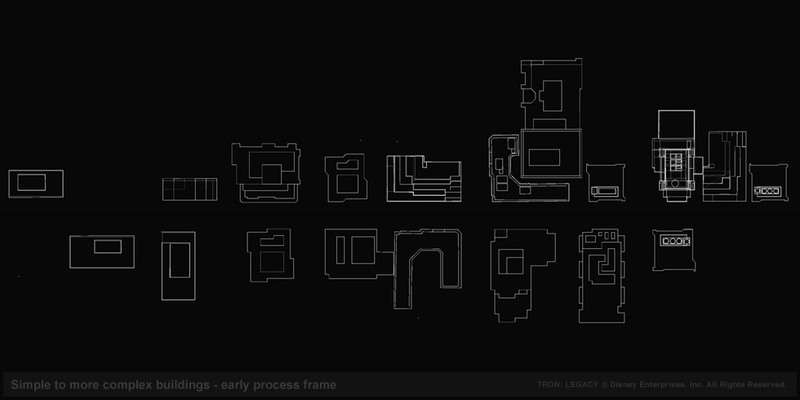 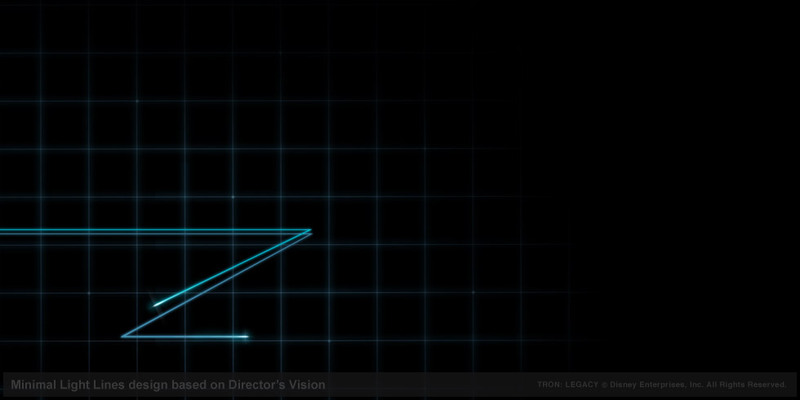 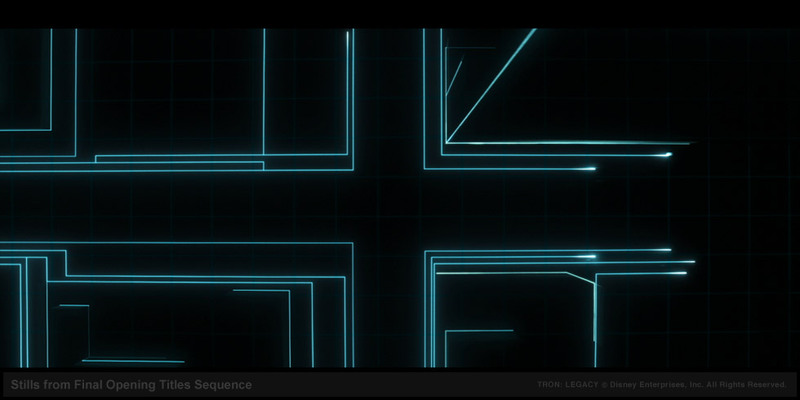 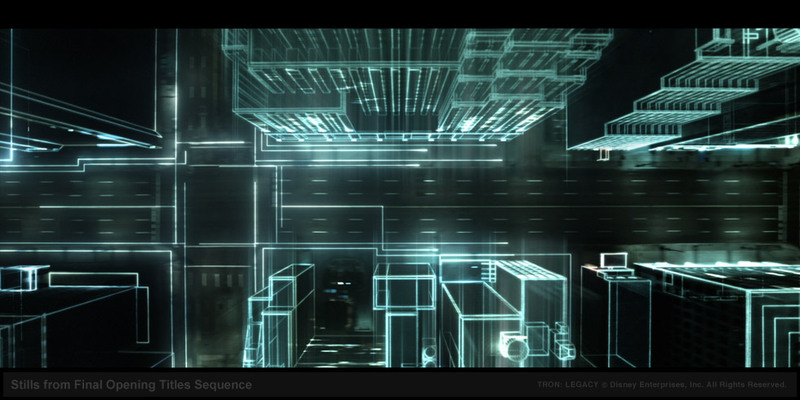 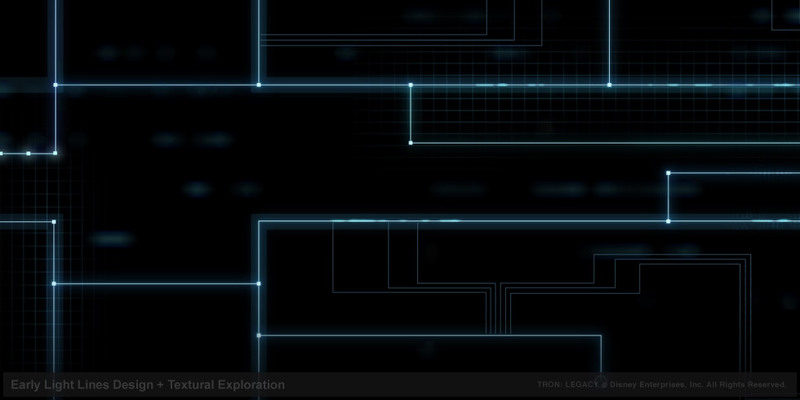 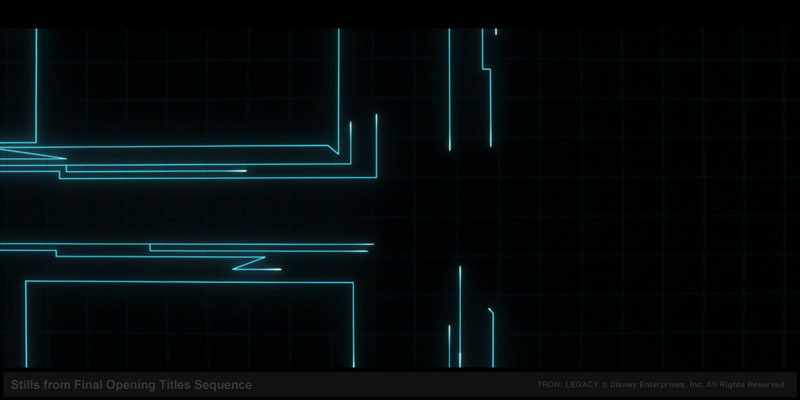 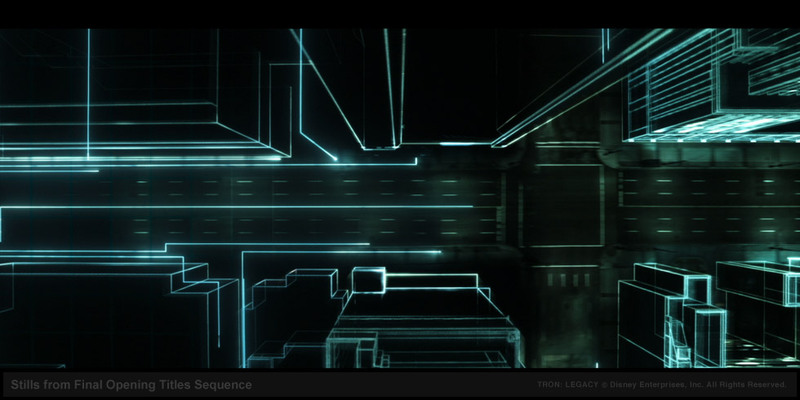 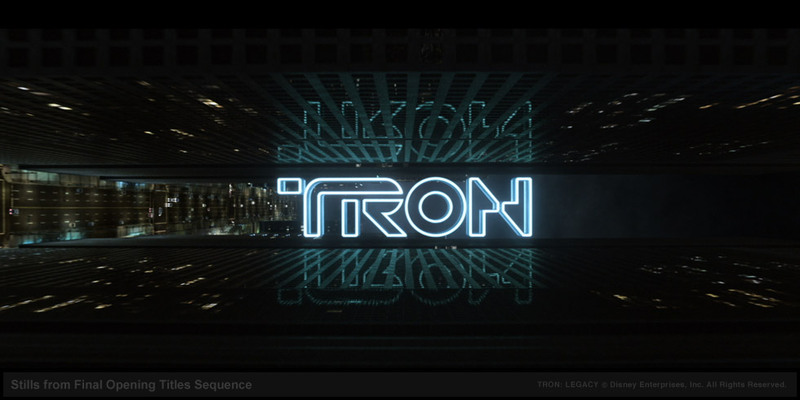 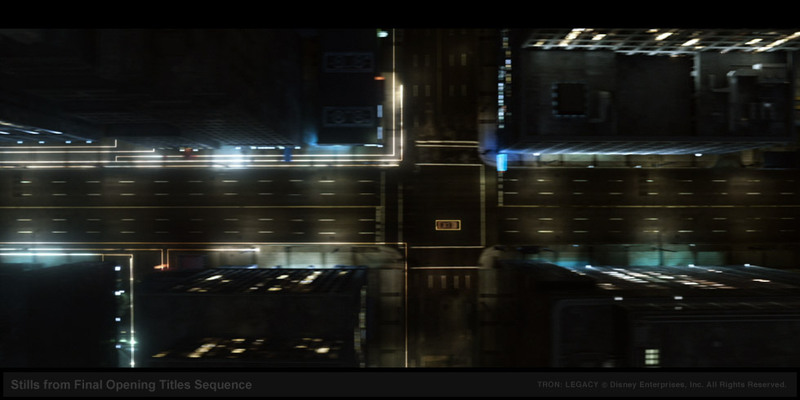 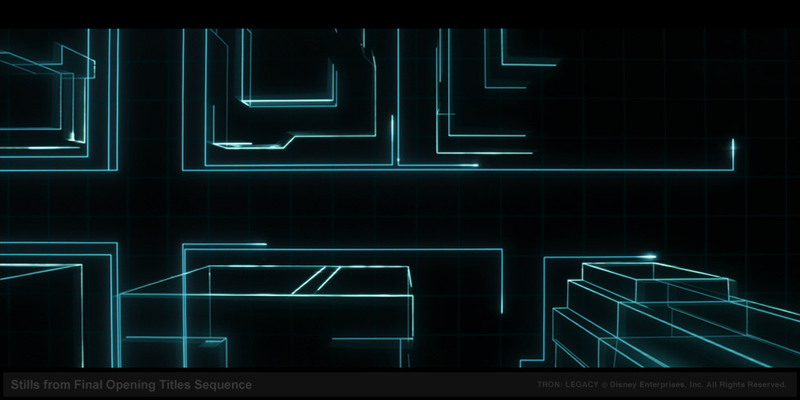 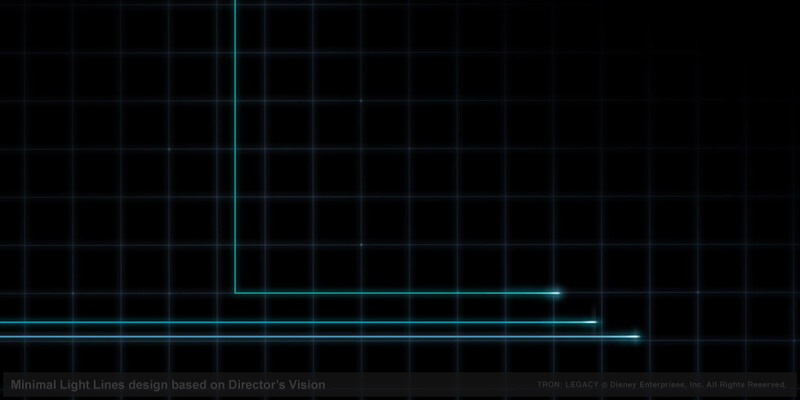 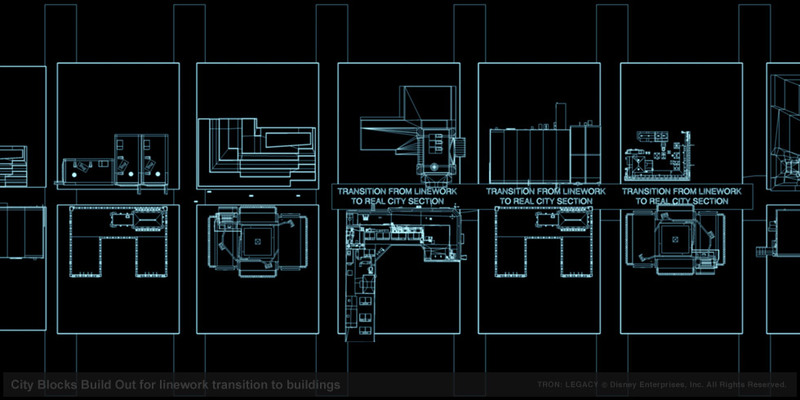 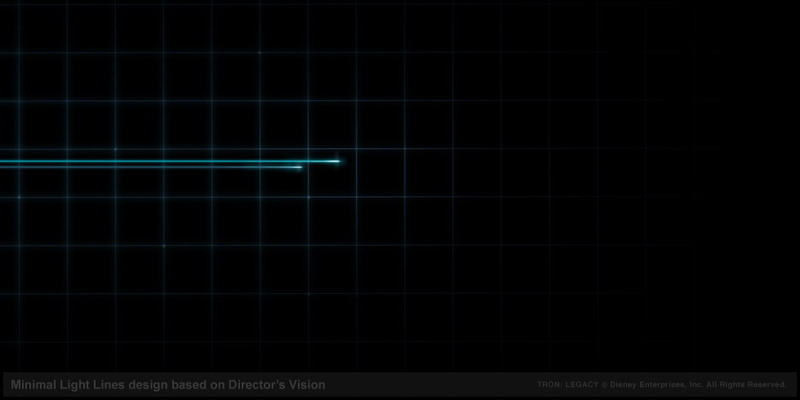 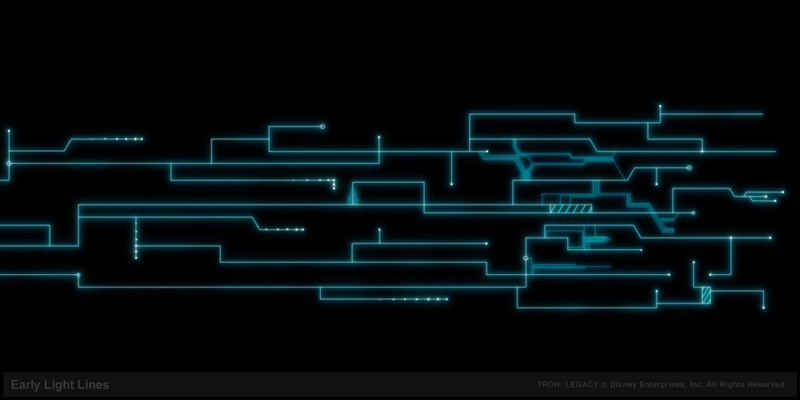 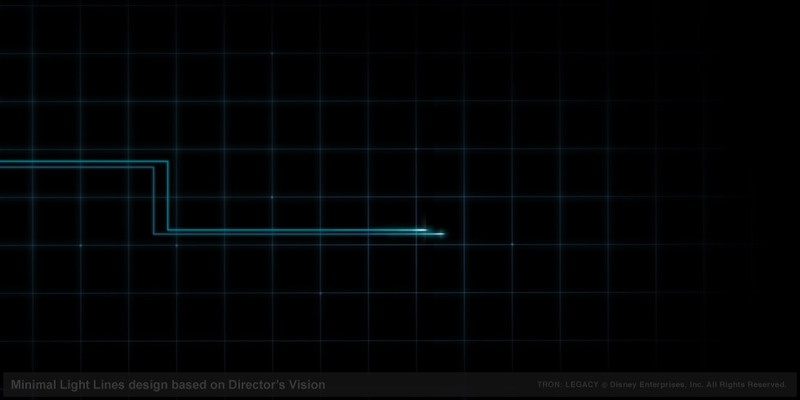 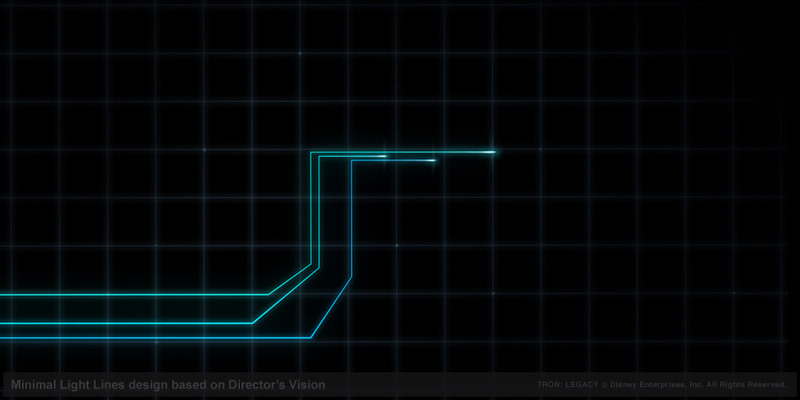 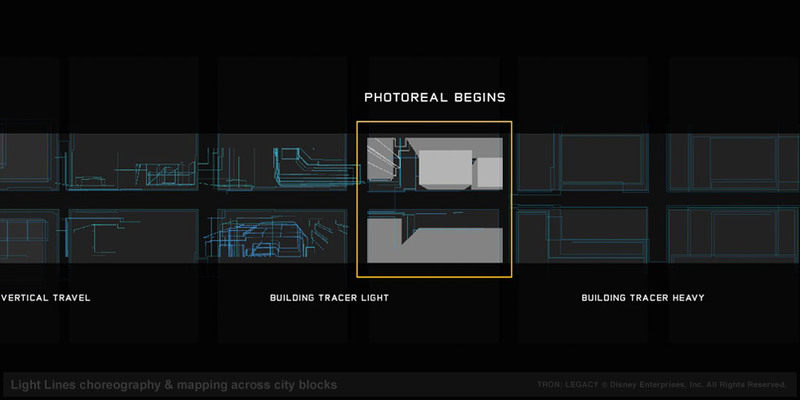 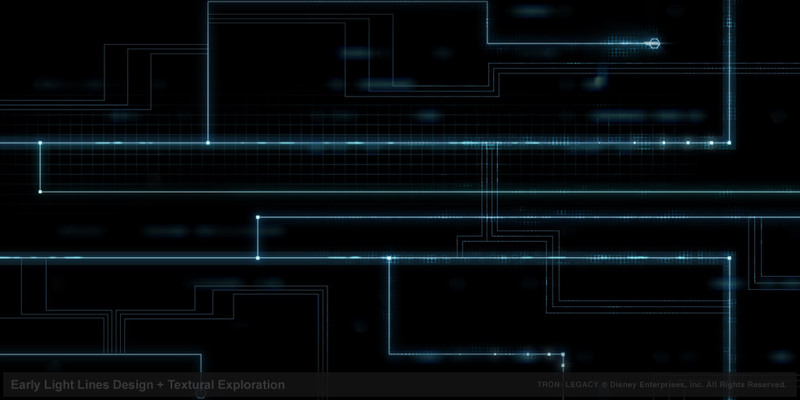 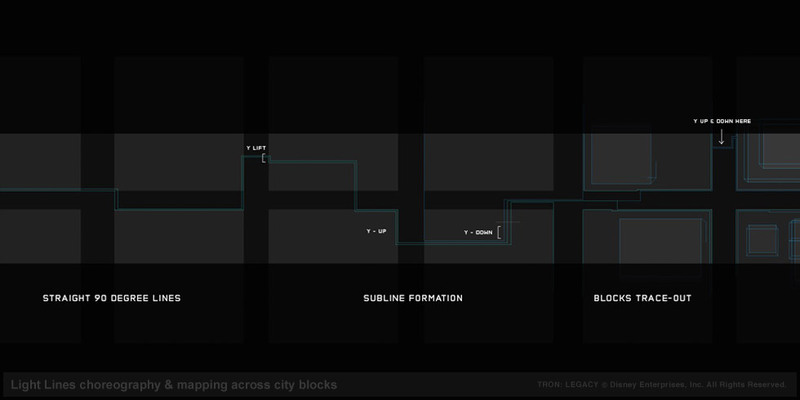 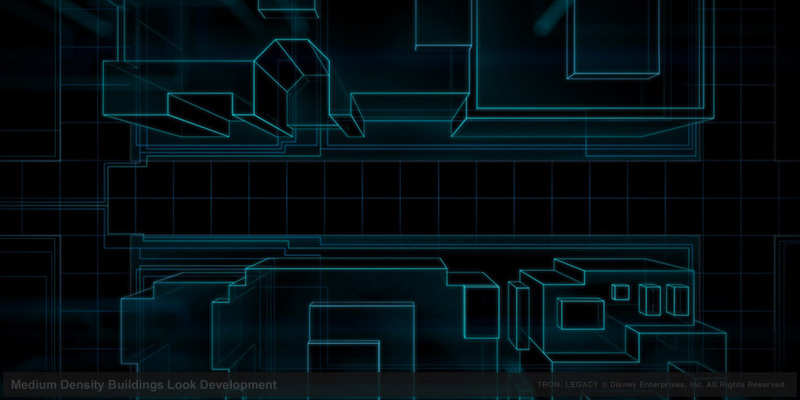 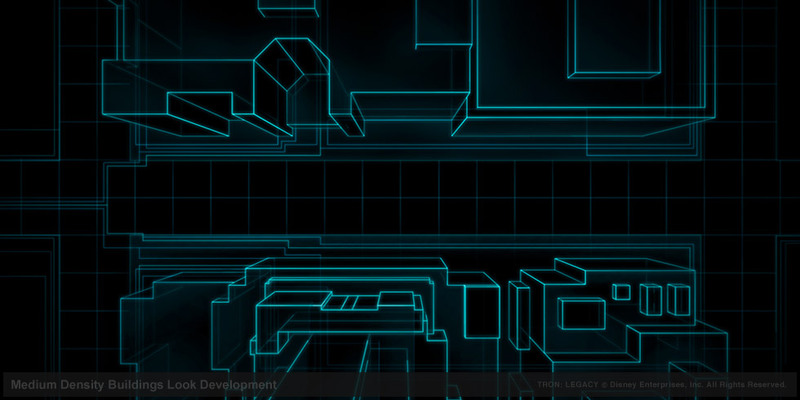 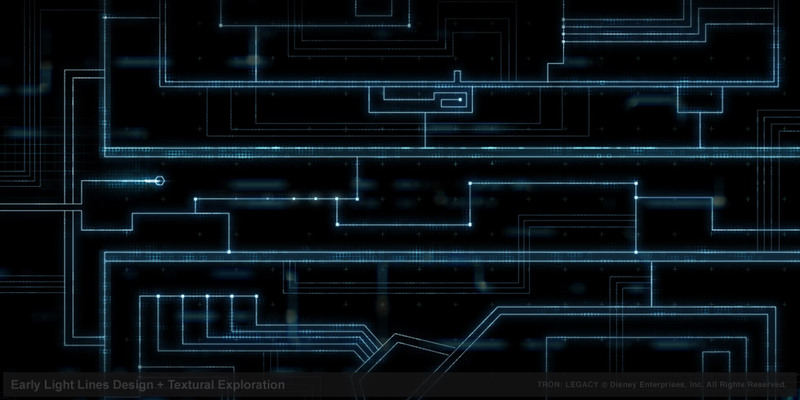 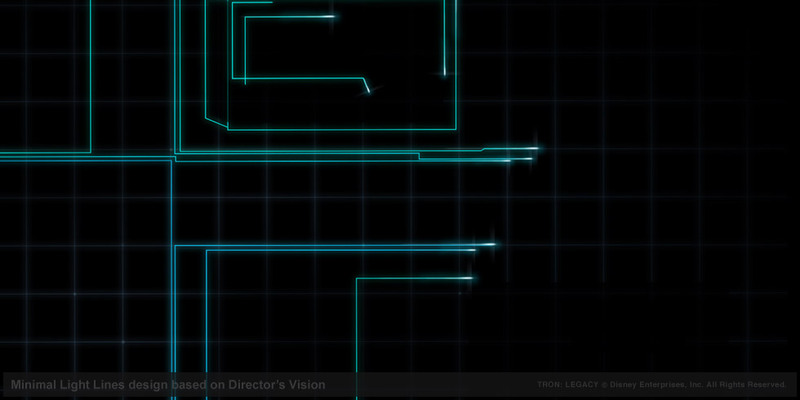 Although our small TRON: Legacy GFX Team was knee deep on other parts of the film, there was no passing up the opportunity to work on the opening sequence where a single graphic line ultimately transforms into a photoreal city, all in a single camera move. 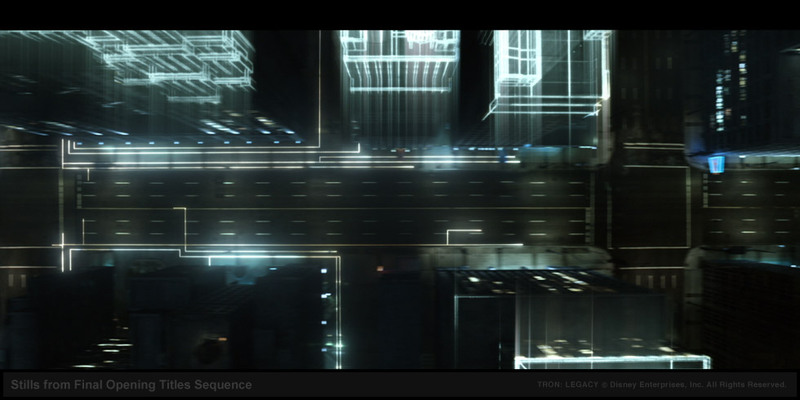 Gmunk, David Lewandowski and I worked closely with director (and architect) Joseph Kosinski to strike the right visual balance that evoked the feeling of the original 1982 light bike battle in its graphic simplicity with the need for the light lines to ultimately build enough structure for a transition to a photoreal city. 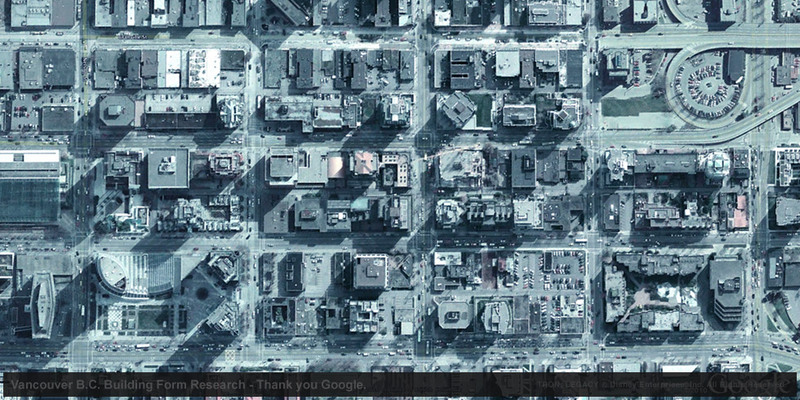 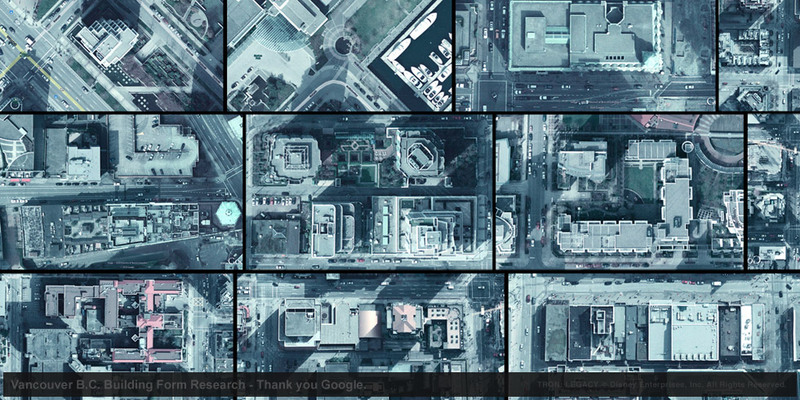 I spent some good one on one time early on with Google Maps to analyze the building structures of downtown Vancouver B.C. 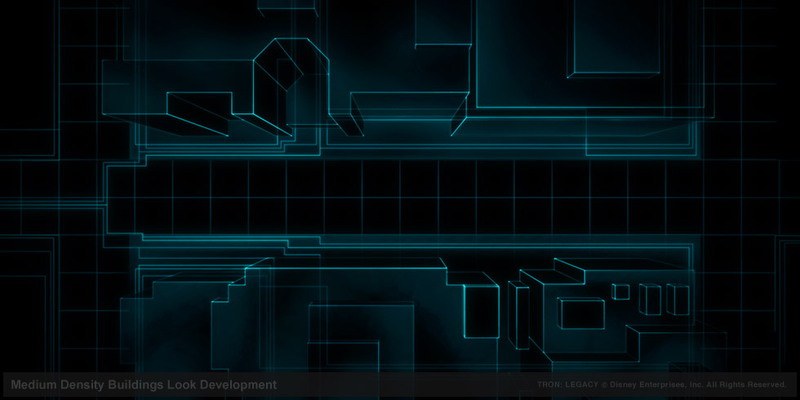 for building shapes that would allow for interesting line animation. 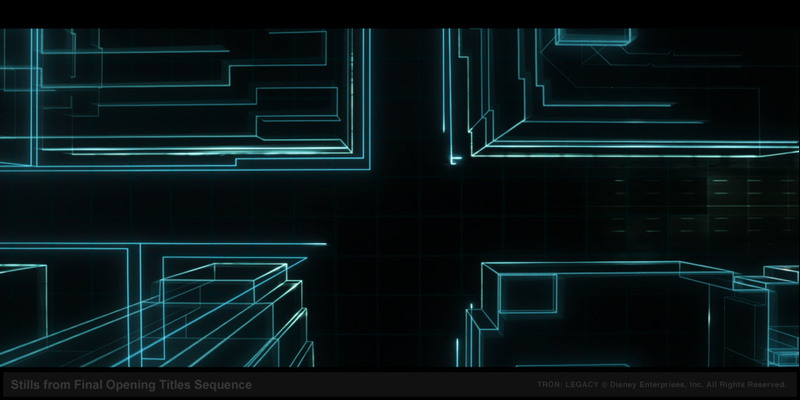 From there it was a study in the composition, styling and animation quality of the linework to find what worked best. 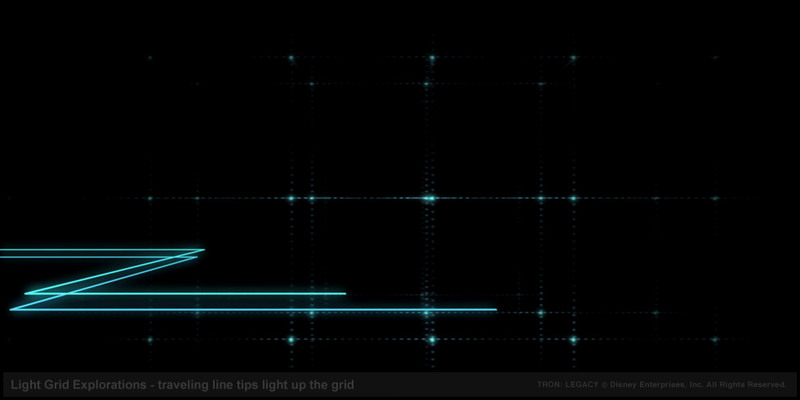 I pushed for the idea to have the traveling light lines light up a grid of points that defined the 3d space of the traveling line(s) to give the grid more parallax and interest throughout the line animation (in the process video below).